ACT Policing are investigating a suspicious fire in Mawson last night which has caused major damage to the Serbian Club building. ACT Fire & Rescue and police were alerted to the fire when several people called the Emergency Triple Zero number around 7 pm after seeing a large amount of smoke coming from the roof of the Serbian Club. Six fire pumpers and a commander vehicle were sent to the scene and managed to extinguish the fire, ensuring that no other buildings were damaged. No one was injured in the fire but it caused major damage to the building, which is located in Heard Street, Mawson and has been closed since 2010. 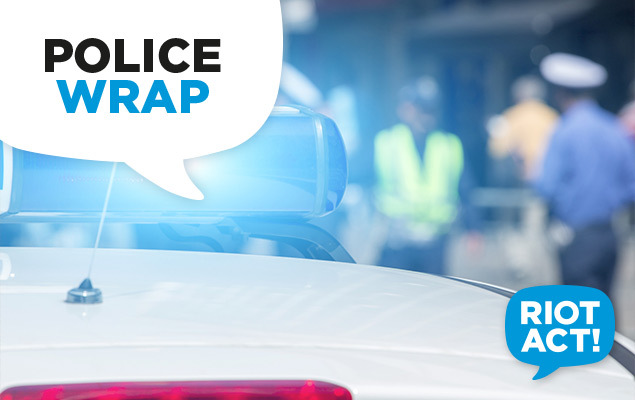 ACT Policing have said that, following an analysis of the scene, police and fire investigators believe the fire was deliberately lit and have deemed it suspicious. Criminal Investigations’ detectives are investigating circumstances surrounding the fire. Police have asked anyone who witnessed the incident or who has information about the fire to contact Crime Stoppers on 1800 333 000 or via the Crime Stoppers ACT website. Information can be provided anonymously but please quote reference number 6098665. Below is a video of firefighters working at the scene last night. Thanks for the posting and the video. I wonder how the the Austrian club fared? Appears a fair amount of smoke rising from where their club starts.. The Austrian Club was still able to host the NuLine Canberra Line Dancing Club the following day so presumably there wasn’t too much damage done.